There’s no denying it: I have become somewhat rusty when it comes to taking photos of things other than knitted objects or cats (generally this happens at the same time as my cats are both convinced that any photo without a feline presence is a waste of a camera). The only way to fix this is to practise. A lot. With this need for practice in mind, I made space for my camera when packing for my post-Christmas trip to visit my parents in Beechworth. There’s always something to photograph there, including another cat, although you might not believe me on that last point, given I haven’t included a single photo of said cat below. It was fun to be back to my normal self, aka the weirdo with the camera who is likely to take a photo of you opening the fridge to look for sparkling apple juice. I didn’t actually do that, but I might have; it’s a risk you run when you’re near me. And a fridge. Without further ado, I present you with a set of pictorial postcards from Beechworth this Christmas. 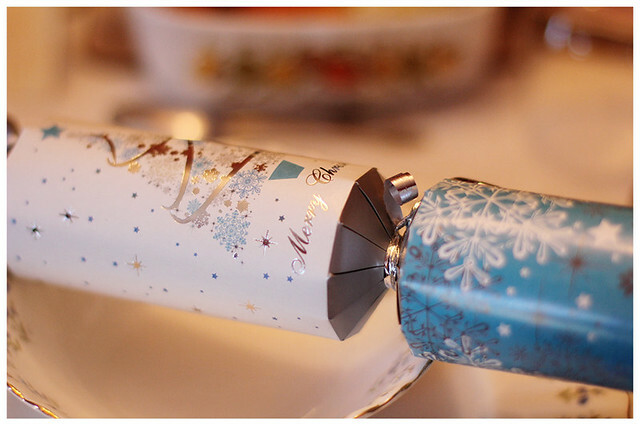 Ah, Christmas crackers: my nemesis. While everyone around me is finding cute little presents in their crackers, I am the one ending up with a bottle opener or a paper clip. This year, though… this year was different – I discovered a little measuring tape along with my bad joke and paper hat. Which I promptly left behind. So in some way, my Christmas cracker curse continues. Mmm, cheese. 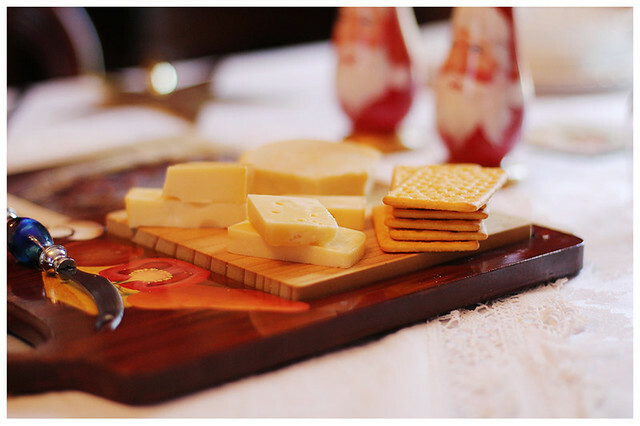 I like cheese, especially when it’s situated in nice lighting. Look at his hopeful, smiling face. This is a chocolate bear without a care in the world. Little does he know he’s about to end up in someone’s stomach. He was hollow, which was somewhat of a disappointment. Surely a chocolate bear that small should have the decency to be solid. The aftermath of Boxing Day lunch. Why is there a golf ball on the table? Why, that was the present my dad found in his Christmas cracker. Because who doesn’t want a golf ball? Especially flying out of a cracker at speed? 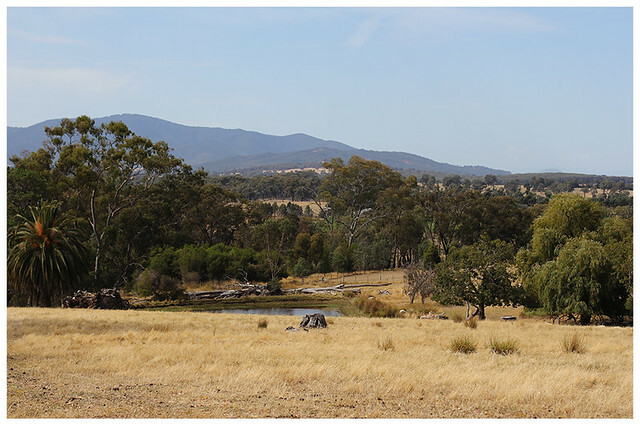 Later in my stay, we headed to the outskirts of Benalla so Ma could visit a sheep farm, part of which you see above. This is perfectly normal behaviour when your mother has re-discovered her passion for spinning wool. I could live with a view like that, though. Never mind that it takes around twenty minutes to get to the nearest town. Who needs town when you have that to look at all day? Well, when you’re not working your fingers to the bone on your sheep farm. I do appreciate it when someone has the foresight to pose an interesting piece of farm equipment in nice lighting. It would be rude not to take advantage of that, really. 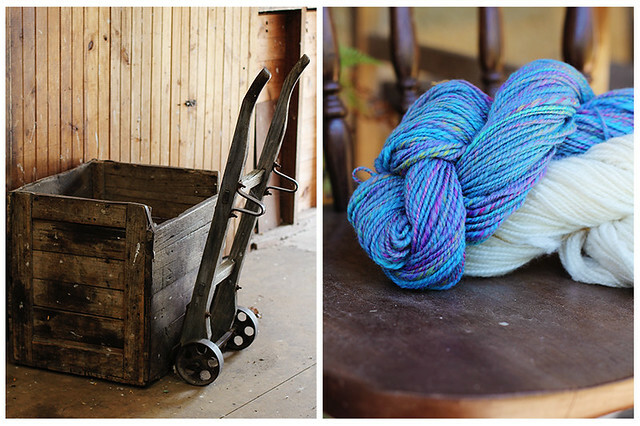 The rest of the time, I’m obliged to steal skeins of wool my mum has blended and spun and pose them myself. So much effort. And this would be a toaster. Not just any toaster; my favourite toaster. 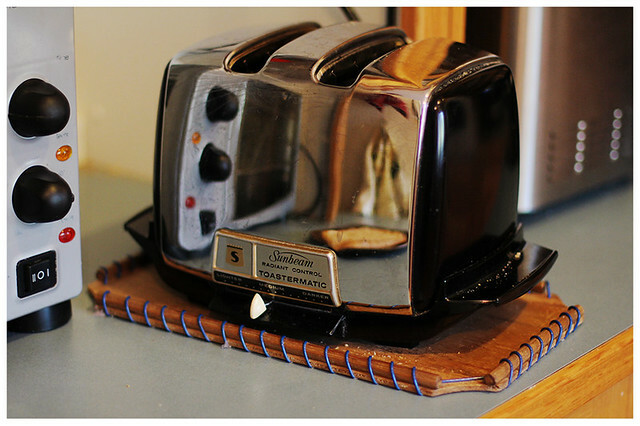 It used to belong to my grandparents and I remember being ridiculously excited to use it as a kid, watching as the bread was gently lowered into the machine to become toast. According to the interwebs, it’s around fifty years old – and still going strong! Finally, some art created by nature. If you wanted to get carried away, you might see this as a representation of a giant lobster, rising from a long sleep to conquer the world and all its puny humans. Or perhaps that’s just me. 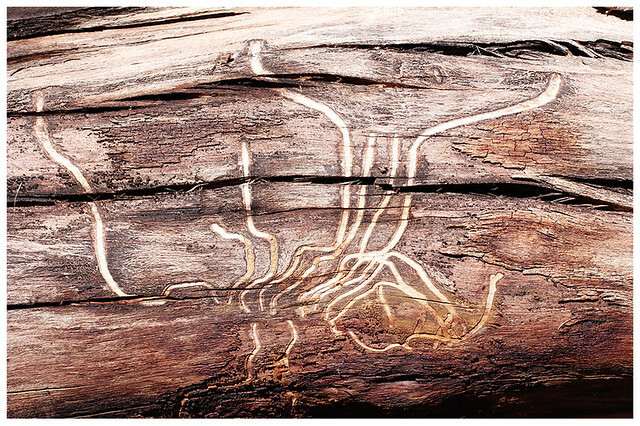 In reality, it was created by wood borers with artistic leanings. So that was what my trip to Beechworth looked like. I still have a long way to go when it comes to improving my photography, but I’ve made a good start. Even better, I’ll have another chance to practise in a couple of weeks when I spend the weekend with some of the Failboats. In the meantime, I’m back to handmade objects and cats. What great pics and a lovely blurb to go with them! 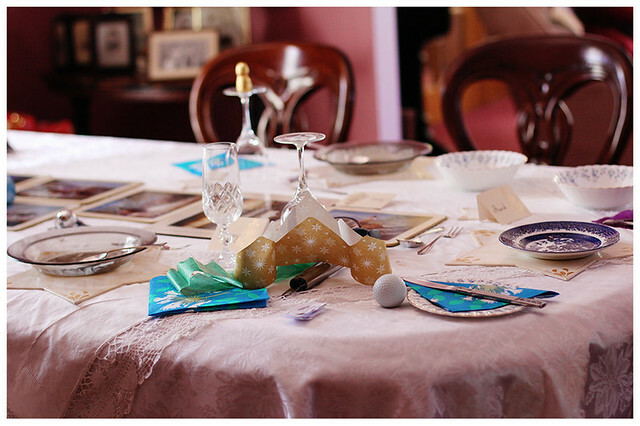 Interesting, beautiful and full of homespun (! ;-)) philosophy. 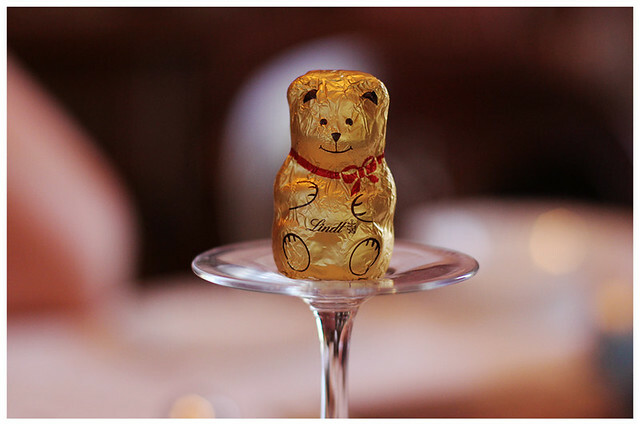 I may steal the chocolate bear on the upturned wine glass idea…I love it! Well done. I love that little chocolate bear, it is incredibly cute. I was complaining a while ago that nothing ever happens out here. The view is the same day after another and sometimes I miss living in a town where the hustle and bustle is constantly changing. Then again, we had a deer last Winter who got tangled up in my fencing wire, an adult male bear was sighted just a couple of k’s from here. And then there was three big wild boars taking a stroll outside the verandah the other day. Life in the countryside, eh? Yes, the country has a different kind of hustle and bustle, doesn’t it? It’s only restful if you’re there on holiday!